Our 2016 update to the President Spread. 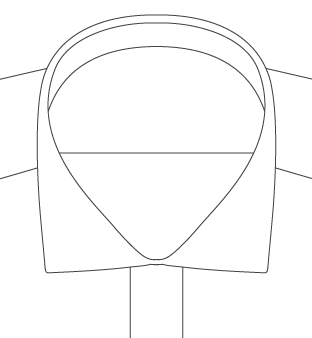 A modern spread collar of traditional proportions. 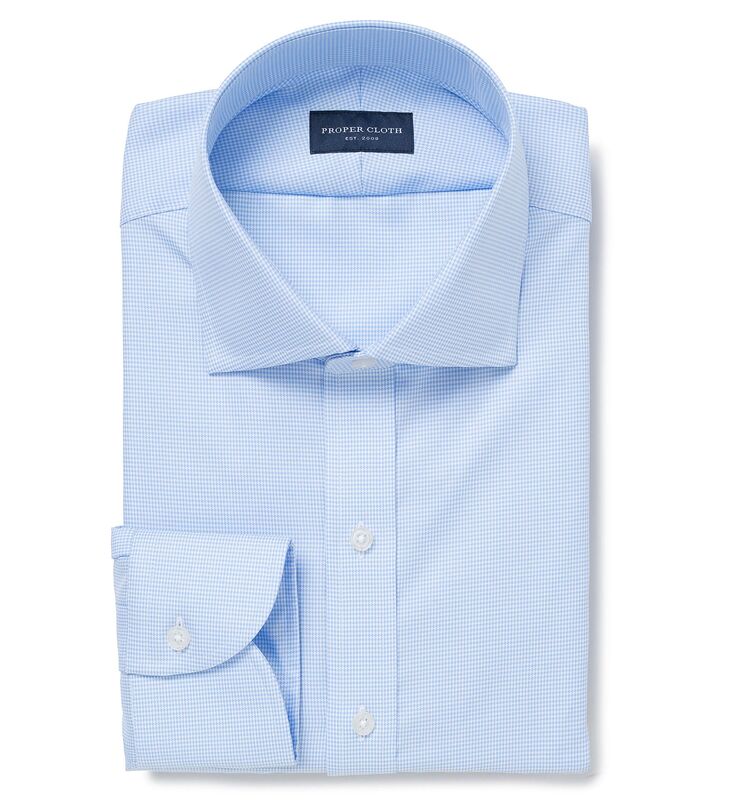 A staple sky blue houndstooth in our new Mayfair Wrinkle-Resistant Twill quality. 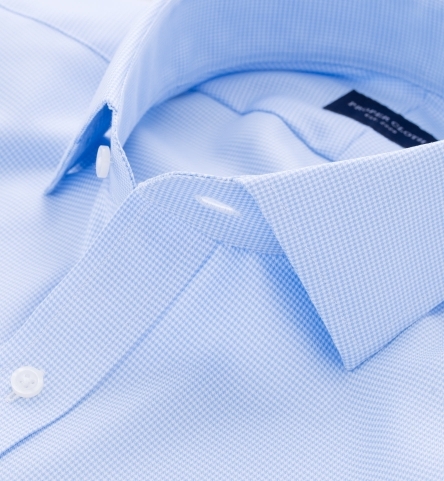 We specially developed this fabric to balance a great handfeel with incredible performance. 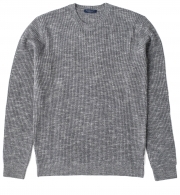 It's a densely woven twill with just enough body to last for years to come, while still remaining a 4-season weight. The 100's 2-ply thread count gives the fabric great durability and a nice, smooth feel against your skin. 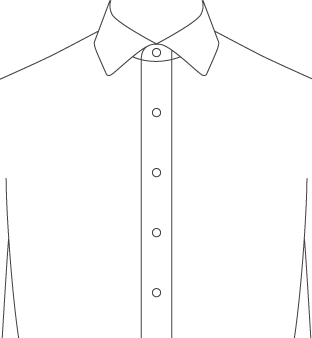 The twill weave allows it to drape really well, so that it lays incredibly clean across your chest and we added a strong wrinkle-resistant finish that keeps the fabric looking super clean all day long. 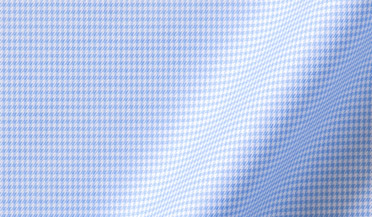 The small scale houndstooth pattern wears like a solid from a distance, but gets more interesting when you look at it up close. It's a true no-brainer for the office and pairs extremely well with our President Spread Collar and 1-Button Cuff.